Will Tomorrow be the Big Day? So tomorrow morning we are going to try and extubate Kennedy and WHEN all goes well I will be able to hold my Peanut after three long weeks. I hope to get this tube out, get Kennedy stable and discharged. We have been an inpatient at Loma Linda Children's Hospital PICU for over three weeks - and boy am I tired! I just want to get back to our "normal" life. I will keep you all updated - Say an extra prayer for Kennedy's strength and lungs tonight. You don't know me, I just ran across your blog as I often look at them because of my own child I lost. It is a very hard situation and family and friends tell you what you want to hear, not what is best, because they don't want to hurt you. A nurse finally sat me down and talked HONESTLY to me about what I was putting my child, my husband and the rest of my family through. It hurt, but you know the truth hurts, but as the Bible says, it will also "set you free." Why are you doing this, more of the same over and over again, it's a life sentence. It would be different if there was light at the end of the tunnel, but you KNOW there isn't. You say that "your daughter is the strongest person you know. You say "she has and continues to endure more pain then most people do in their entire life. She has the uncanny ability to fight and a will for life that you don't think most of us possess." It is a very sad situation, but is what you're doing best for your child, or what is best for YOU. The machines are doing the fighting, NOT her. Her will is to go home to be with our Lord, but medical intervention keeps stepping in and preventing it. She has tried to show you what she wants multiple times, but you won't let her. Why are you trying to stop this baby from being led home to the Lord, where she can FINALLY have some peace. Stop the pain and suffering for this poor poor baby. Do you know what it is like to struggle to breathe and to have air pushed into your lungs. It is horrible and you are forcing Kennedy to endure this repeatedly, as well as the pain. I understand, trust me, I have lost a baby, it is not easy. But we do it for our own SELFISH needs, not what is best for our child. I am sure she does not want to continue living in these situations that she is being forced to tolerate. It is so unfair for you to continue to put her through all this horror and pain, because you can't handle not holding her, dressing her up, taking her places and pretending everything is normal. You say in your eyes she is perfect, well very sadly, she is not and you know it and it is time you stop pretending and face what reality is. You say you worry about what you will do without her. You have fought a good fight, but she is tired and she is not here to satisfy your needs, you are here to satisfy hers. I did the same thing with my first one and finally realized after 2 years, it was the most selfish thing I had ever done. Hopefully you will find some peace and realize it before she suffers more needlessly. Let her go and stop the insanity. I continue to pray for wisdom for you and peace for Kennedy. Good luck to you and hopefully your baby can finally rest in peace. Life does not seem fair at times, like you have mentioned "WHY ME", why is this happening to me". I believe if Kennedy were able to convey her feelings, she would be saying "WHY ME" because this is happening to HER. I hope this hasn't hurt you too much, it sure hurt when the nurse spoke to me, but when I took the time to really truthfully and logically think about what she said, it all fell into perspective and I was more at peace with the truth and reality of the dire situation at hand. I let my child go with peace and dignity, instead of forcing her to live for my selfish needs. I can hold my head up high knowing she is at peace without pain and suffering like she went through for the first 2 years. Peace, love and God be with you. I don't feel that I need to justify our decisions. For gods sake - if we would have listened to the doctors advice in the beginning Kennedy would not be here with us today, which would mean that we would have never had the chance to spend five of the best months at home with her. We are doing our best, there is no book that tells you how to deal with situations like these and I would appreciate it if you kept your negative opinions to yourself. If I do say so myself, Brian and I are doing pretty damn good!!! We will be an inpatient in PICU for about two weeks Saturday and we have celebrated many small accomplishments - this is her biggest thus far. Kennedy never ceases to amaze me. I can't believe how strong she is and continues to be. We still have a long road ahead of us, but we have made a huge leap in the right direction. Thanks again for all your prayers and words of encouragement. We love you all!!!! We are still here! Spending so much time in a hospital is so exhausting. Kennedy is hanging in there. Today was our first attempt at weaning Kennedy from her high frequency vent to the conventional vent. The reason everyone contemplated weaning Kennedy was because she was doing exceptionally well the last day. We were weaning down on her settings, her x-rays were improving, and her gases were satisfactory. We tried this afternoon, however, Kennedy was not ready. She did really well for the first 30 minutes and her first blood gas looked great (best so far). Everybody in the room was in good spirits and was really cheering Kennedy on. I almost hate moments like these - it is so hard to stay level headed and not to get too excited. You don't want to let your hopes come up to high just to watch them come crashing down. I want with all my heart and soul for Kennedy to succeed, for her to get off these machines and to go home with us. In addition, a higher level of stress and anxiety comes upon me. For the two hours she was on the conventional vent I watched her monitor and Kennedy's mannerisms like a hawk - I was on high alert. I didn't want her to fail!!! Kennedy was having a heck of a time. We thought she was ready to move on from the high frequency, but Kennedy let us know otherwise. In good ole' Kennedy fashion, she let us know that this was not on her time and/or her terms. After about two hours we had just about maxed out the setting on the conventional vent and were forced to switch back over to high frequency. We wanted to make sure we didn't get stuck in a predicament like last week where she was crashing and once we put her back on high frequency she continued to struggle. Kennedy is doing great now that she is back on the high frequency vent. Her edema is starting to subside and she is looking more and more like my peanut. Furthermore, her skin is holding up really well. She only has one blister (bed sore) on her belly. I tell my daughter everyday how proud I am of her. She is the strongest person I know. She has and continues to endure more pain then most people do in their entire life. She is my hero. Kennedy has the uncanny ability to fight and a will for life that I don't think most of us possess. She is my pride and joy. I don't know what I would do if I lost her. Most of the time I forget that she has a chronic syndrome/disease. In my eyes she is perfect. I love her for everything she is! I pray day in and day out that she will pull through this. I long to hold her in my arms. It has been ten days since I last held Kennedy. I will continue to be in Kennedy's corner cheering her on. I will not give up on her. OUR GOAL: TAKE KENNEDY HOME WITHOUT A VENT. To me this is a must in order to maintain a good quality of life for her. First and foremost I would like to start of this post by showing my deepest gratitude and thanks to all my family and friends - you have been the glue that has held me together. Now to more important things....Kennedy. She is not doing so good. Yesterday was the roughest day Kennedy has had in her entire life. She was on the conventional vent and her settings where maxed out. She was at a really high pressure setting (meaning how hard the air blows into her lungs) and her FIO2 was maxed out @ 100%. This meant that if Kennedy went into distress there was no more assistance the vent could provide her. Kennedy kept her day nurse on her toes her entire shift. She did really well all day Wednesday and throughout the night, however, Thursday was a different story. Early on in the morning Kennedy was looking extremely pale, she was d-sating and her hemoglobin was very low at 6. Just so you have a comparison, the last day of February Kennedy had her Mickey Button placed and I inquired about her hemoglobin - at that point it was a 14, which is on the high normal side. Kennedy received her 5th blood transfusion Thursday morning. It seemed to work - Kennedy's color slowly came back by that afternoon. The doctors where thinking (hoping) that Kennedy's d-sats had something to do with the fact that her hemoglobin was so low. We were all hoping and praying that after her transfusion she would begin to have an easier time breathing. However, more bad news. A chest x-ray was ordered and it was discovered that Kennedy's right lung was collapsed. Your lung is composed of three lobes and the top two were collapsed. This could also have explained the reason why she was having troubles breathing. The doctors kept Kennedy on her left had side hoping that the antibiotics, breathing treatments, chest PT, and gravity would help her lung open back up. However, this could not have been further from the truth. A couple hours later a chest x-ray was ordered and now Kennedy's left lung was starting to white out. She was having a hell of a time breathing. The nurse and Respiratory Therapist had to bag Kennedy over a dozen times yesterday. She was d-sating down into the 40's. The vent just was not working for her - she was slipping further and further away. Every time someone would bag her, her 02 would jump back to 100%, however, as soon as they hooked her back up to the vent she would d-sat within a couple minutes. My theory as to why she did so well when they were bagging her was probably due to the amount of pressure they were able to push into her lungs every time they squeezed the bag, however, the pressure they were distributing was not good over a prolonged period of time because it could stretch out her lungs, cause lung damage, or potentially burst her lung. The decision was made at 7 pm to place Kennedy on a high frequency vent. The difference with this vent as opposed to a conventional vent is that this machine blows hundreds of tiny little puffs of air into Kennedy's lungs, thus, keeping her lungs fully expanded. How she is able to exhale and release the carbon dioxide is beyond me. The hopes of this vent is that it would allow Kennedy's lungs to re-open. This is the last straw for Kennedy in the terms of ventilation. The doctor spoke to us and told us that it might not be a good outcome for Kennedy. Kennedy needed to be completely paralyzed in order to be placed on this machine. It is very uncomfortable to have your lungs completely expanded and we didn't want her fighting the vent. In addition, Kennedy was placed on a morphine drip to alleviate any pain. A catheter was placed and she was hooked up to fluids since they didn't want her to eat because they were not sure how she would tolerate everything. Seeing Kennedy in this state was so depressing. She is becoming very swollen and looks so lifeless. The only movement was the shaking and the vibrating the machine did. This is no way for someone to live. By early this morning Kennedy's blood gases were beginning to look very promising. We were able to wean her to very low settings on this vent. Kennedy received another blood transfusion this afternoon - her 6th and her color is looking alot better. Our hopes are to wean Kennedy off this vent by tomorrow morning and hope that it did the trick. If we have to put her back on it, Brian and I will be forced to make some tough decisions when the weekend commences. This is no way for someone to live. She just lays in bed lifeless. She is not able to move, feel, or control any of her bodily functions on her own. Seeing her in this state just kills me. No parent should ever have to experience this kind of pain and heartache. I just pray with all my heart that Kennedy will be able to pull through this with no additional insult to her fragile brain. Thanks for your continued prayers - just remember you all have a part in Kennedy's recovery. So last night was hands down the worst night I have ever had since Kennedy's birth. Just a quick recap - we had a really rough day yesterday. Kennedy was intubated, her original PICC line went bad, then another PICC line was placed and that went bad, her blood pressure was sky high and then dropped dangerously low due to dehydration, and finally a central femoral line was placed and stitched into her groin at midnight. We were back at square one! Actually it felt worse then square one. I think this is because we now knew what it was like to have Kennedy healthy and breathing on her own and it was all taken away. My biggest fear was the vent. To me the vent represents everything negative about having a sick baby. It seemed like everything that could go wrong did and to top it off we were really butting heads with the all the medical staff. They are so perplexed by Kennedy that they just kept saying, "this just doesn't make sense", "why is she doing this - this is not normal", "I just don't understand". I mean did they read her chart - if so, they would have realized that nothing she does is normal, or makes sense, or is understandable. She is a medical mystery. But I am happy to say that I have the best support team behind me. Without the love of my friends and family I don't know where I would be today. Without my husband, Mom, and sister there for me last night I don't know how I would have gotten through this mental and emotional road block. Mom - you are the rock that holds are family together. I have learned so many valuable characteristics that have been so vital in getting through this rough time in my life. You are as close to Kennedy as I am. Ash - you are not only my sister but you are my best friend. You always provide me with such reassurance at times when I feel so lost. I love the fact that I can call you at anytime and you will sit there and talk to me for hours and hours. Brian - Without you I don't' know what I would do. You provide me with such balance. You make me remember that we need to see the positive and stay up beat. I think you might have even taught the entire NICU that it is okay to laugh in times like these - actually it is essential for your sanity. We have grown and learned so much about one another in this difficult time. Kennedy has made us such a stronger team. If we can conquer this we can conquer anything. I love you with all my heart. Furthermore, I woke up this morning after 3 long hours of sleep (HA HA HA) feeling so rejuvenated and ready to fight as hard and as long as I have to for my daughter. Kennedy was doing a lot better this morning. Her color is looking better, she seems very comfortable, she was taken off one of her antibiotics, she is now receiving full feeds (no more IV fluids) and she is breathing above her vent settings - which is AWESOME. I am praying for this upward trend to continue. Again, thank you to all my family and friends for all your prayers, e-mails, texts, comments, etc...I cherish and save them all. They are a great thing to have when I am needing a little pick-me-up or when I need reassurance that I am doing the right thing. So I just got home after another long shift at the hospital - 37 hours and still going (God I need to sleep). Kennedy had a really rough night and day today. She has been struggling to breath since last night at 2:45 a.m. Unfortunately we had to intubate her this morning. Following intubation, she really struggled to maintain her sats and her FIO2 levels were 100% - meaning that if Kennedy were to get into any more respiratory trouble we would not be able to give her any more oxygen because she was already maxed out at 100%. In addition, she developed a fever at 3:00 p.m. Her right lung is starting to clear up, however, her left lung is starting to look a little cloudy. Her PICC line went bad after the first day - of course and then they tried to place another PICC line and were not successful. As I arrived home, I received a call from the attendee requesting authorization for a central line which will either be place in her chest or her groin. Well I am going to get in the shower and back to the hospital I go. Thanks for all your texts, calls, and e-mails!!! First and foremost I would like to start off this blog with saying that being a mom is not always what we expect, anticipate, hope or dream for - the reality is, it is a tough job. We have heard this phrase a million times, but it is so true - it is one of the hardest, most emotional, most rewarding, and most under paid jobs in the entire world, but most of us wouldn't trade it for anything. I would like to wish all the mom and mothers-to-be out there a Happy Mother's Day. Take this day to RELAX (easier said then done - I know) and spend time with the little/or big ones who make this day possible. I know for some of you this day may be hard or filled with sadness and emotion - it is for me. However, think of the positive - look past all the hurt and pain and remember the sweet times. Look deep down inside yourself and recall that feeling - to me that is the feeling if hard to describe in words. It is a feeling I get when I am holding Kennedy in my arms. It is a feeling of unconditional love. No matter what happens, no one can every take away those memories or feelings a mother and a child share. I am up and ready to head off to the Hospital to spend this day with Kennedy but I just wanted to give everyone a brief update - complements of my husband via text message. Kennedy had a rough night last night. There were a couple scares and a lot of talk to intubation. Kennedy is having more d-sats then they would like to see. Her seizures are really making things tough for her. Apparently, every time she has one her heart rate is elevated and she begins to have drops in her oxygen level (d-sats). In addition, they are concerned with her heart rate - it is extremely elevated (running at 175 - 200 bpm, this is a typical newborns heart rate). Furthermore, her blood pressure decided to take a ride on another roller coaster. It has been up and down. Last night Brian also received the results of the Ultrasound. There was no fluid between the ribs and lungs - so hopefully a deep suction will do wonders. The doctors came in this morning and told Brian that Kennedy is one of the most complicated cases they have ever seen - not usually comforting words, but I couldn't agree with them more. From the outside at a glance she looks like a perfectly "normal" 9 month old, but deep down she is filled with medical anomalies that no one is able to provide any insight into. It is just so crazy to truly realize how behind medicine is when it comes to the brain. It find it so intriguing and frustrating that they are able to fix, cure, diagnosis, and help with so many diseases, syndromes, disorders etc....but when it comes to the brain (the unit that gives us life) the medical field has only just scratched the surface. I mean I have seen and heard things at Loma Linda that I didn't even know existed and then I look at Kennedy and wonder why is she so different? What is it about here that leaves everyone pondering and guessing? So if you have not heard the news, I just wanted to let everyone know that they admitted Kennedy to the Pediatric Intensive Care Unit (PICU) @ Loma Linda Children's Hospital. The reason for this visit to the ER and then subsequent admission was caused by severe congestion/cough and difficulty breathing. Starting Sunday and subsiding on Tuesday Kennedy was running a fever - nothing to significant, temperature was usually sustaining @ 101.9 degrees. Tuesday afternoon Kennedy's fever broke, however, she began to get very congested and developed a horrible cough. She had a lot of mucus and every time she would get a good cough in, she would loosen up the flem and then begin to choke because she was unable to swallow it on her own. This lasted for a couple of days, however, Thursday and Friday were a little different. Kennedy was very irritable (which is not like her) and was unable to relax. She was experiencing these horrible cough attacks, was very lethargic, and her breathing was extremely labored. On Saturday morning @ 2:00 a.m. I just felt very uneasy with Kennedy's current state. I packed up her stuff and headed out to our second home (I can't believe that those two words are even in my vocabulary and I use them in conjunction with one another). We had to wait in the waiting room for over 2 hours - go figure. During my wait I ran into one of my friends Amber. It was great to have someone to chit chat with in order to pass the time. Lucky she was there, otherwise the admissions people @ the front desk would have hatted me - I get so damn inpatient when I am forced to wait while Kennedy is having difficulty breathing and only sating in the high 80's low 90's (thanks Amber). Almost two hours later it was finally our turn. They brought us back and performed a chest and abdominal x-ray. Kennedy was stable at first but was just beginning to pucker out. She was just having a hell of a time breathing on her own. Our night nurse but her on nasal cannula which seemed to help for the time being. The x-rays came back and we were informed that Kennedy's right lung was completely whited out or cloudy. We were told that Kennedy has severe Pneumonia in her right lung. The doctor ordered for an IV to be started and for a full round of labs to be drawn. 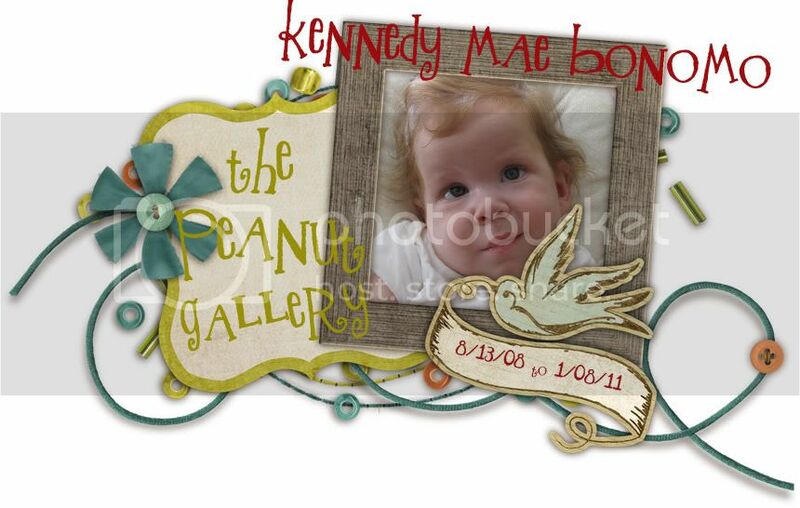 As time ticked on, Kennedy's condition began to worsen. She was having more and more difficulty breathing. It was shift change and the day time attendee rounded to our room and seemed very concerned for Kennedy as well. She ordered several breathing treatments to be performed on Kennedy (which didn't work) and suggested we start her on CPAP (which is a kind of ventilation machine) which forces air in the nose and thus helps open up the airway and provides Kennedy with some additional support. The next couple hours were a blur - probably due to sleep exhaustion I presume. Moreover, one thing I do remember is that doctor after doctor kept coming in talking about possible intubation - WHAT THE F*CK! Why in the world is that word even being mentioned in my presence? They must have not received the memo about how much I hate that damn machine. To me Kennedy seemed to have distressed breathing, but she was far away from possible intubation. It was then decided that Kennedy would be admitted to the PICU as opposed to a step down unit (less critical unit) for further support and observation. Once we got Kennedy settled and met our nurse and all the doctors, Brian and I went to grab a bite to eat - the only thing that keeps us sane sometimes (hence, our growing waistlines - haha). After dinner I went home to rest, I was completely exhausted after being up for more then 35 hours straight. My current updates via text message from Brian are that; Kennedy has a protein in her urine, her white blood count is extremely high, her right lung has severe pneumonia, she is being given antibiotics via IV, her CPAP settings are @ 40% oxygen and she is sating in the mid 90's, she is being given fluids via IV because her stomach is very distended and filled with air, and finally they ordered an ultrasound to be performed first thing in the morning to see if there is fluid between her lungs and ribs - this will help the doctors determine if they need to suction her or intubate. I love the fact that Brian is at the hospital with Kennedy and letting me get some well needed rest at home so I can be by her bedside tomorrow and all subsequent days. However, I have developed a very weird personality trait every since I had Kennedy and was thrusted into this new life. I can't stand to be away from her when she is in the hospital. I like to know everything that is going on (that is the control freak inside of me coming out), why they are doing what they are doing (more control freak), what they are doing to improve things, what there feelings are, but most importantly I like to watch and monitor everyone and everything the doctors order and things the nurses do in order to catch mistakes, which by the way I have caught numerous - yes, you heard me, numerous. For example, this morning I caught the nurse entering the IV dose incorrectly on Kennedy's infusion pump. She was going to pump into Kennedy more then 90 mls over what the doctors prescribed, which once I got home and did a little research this could have caused brain damage if to much sodium was given to Kennedy to fast - GREAT. I don't even want to think how many times this has happened in the past, but now that I am onto their game it won't happen again on my watch. As I sit here and type this e-mail, I can't help but feel so cheated and sorry for myself. I sit on our bed and wallow away in my tears. There are some days (today would be one of them) that I just wish I would wake up one day and this this horrible nightmare would be behind us. It is just so hard sometimes to accept the fact that these situations and predicaments we face daily "are my life". I just WISH that one day I would wake up and everything would be "normal". The word that I have to hate. What I wouldn't give to just one day wake up and hear Kennedy's voice echo down the hall. I would love to get to experience the things that all other parents get to....I imagine what it would be like to hear her babbling in her room, "MA MA MA MA" and I would walk in and she would be playing in her crib and when I walk in she would turn and have this look of pure excitement and enjoyment on her face - unfortunately I only can live these dreams through others, I only can imagine what the enjoyment would feel like through other peoples experiences. Instead day after day is hit and miss for my family. We deal with sorrow continuously and it always feels like every where you look you are reminded just how sick and far away from "normal" Kennedy really is. The things people take for granted or get frustrated about - I just wish I could have a slice of that just for one day. I just wish "this story" was not my life. So I will celebrate my first Mother's Day in the hospital with my daughter - just as I spent several other holiday's and/or celebrations. I will keep everyone posted - Please pray that these antibiotics do there job and that Kennedy fights through this. On Sunday Brian, Kennedy, and I attended our nieces Dedication! We were so happy to be able to take Kennedy and support Nick and Janelle! Ashlyn looked absolutely adorable. She wore the same gown that Janelle was dedicated in. It was also, nice to be able to meet all the people at their church who have been praying so diligently for Kennedy!!! !